Do you worry about your loved one’s ability to care for themselves at home? Perhaps they have trouble getting dressed, cooking meals, or keeping up with basic housework. They may struggle to complete tasks that used to be easy, such as combing their hair or using eating utensils. Sometimes these changes occur gradually, if your loved one has a progressive illness such as Parkinson’s disease. Other times they appear suddenly, perhaps after a surgery or heart attack. Either way, it can be a stressful experience for all involved. But there is no need to struggle alone. 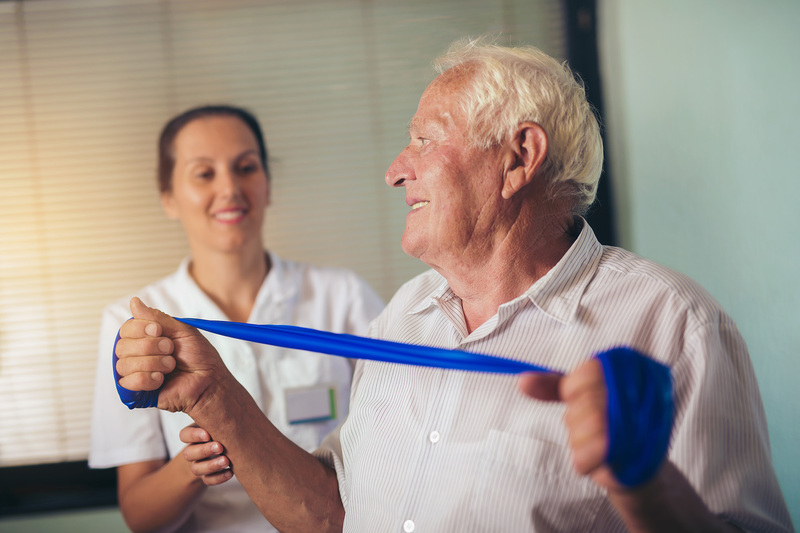 Our skilled occupational therapists can help your loved one relearn the skills necessary for daily living. Our therapeutic activities are designed to meet each individual’s specific goals and needs, all without leaving home. Our experienced occupational therapists specialize in helping patients with all kinds of physical impairments be as independent as possible. In cases where loss of function is permanent, we will teach your loved one to compensate for diminished skills and learn new ways of doing things. The best part is that patients don’t even need to leave the comfort of home to receive these valuable benefits. After all, the best place to relearn the skills of daily living is right where you live. We will come to you, making your loved one’s occupational therapy convenient and hassle-free.